In addition to life care planning, our clients appreciate the convenience of accessing an entire range of related services all from a single source. 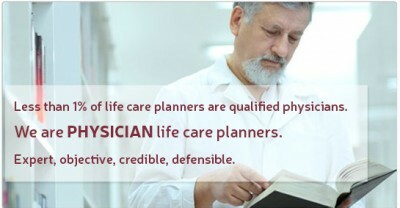 We’re the nation’s premier team of physician life care planners, vocational assessment specialists, professional economists, Medicare secondary payer compliance experts, medical illustrators and neuropsychologists. If you’re looking for the best medically-related litigation support, we look forward to working with you.